Inventory We are a resale marketplace, not a box office or venue. Ticket prices may exceed face value. This site is not owned by State Theater Minneapolis . The State Theatre Minneapolis, Minnesota opened in 1921 as one of the most extravagant and technologically advanced theatres in the world. 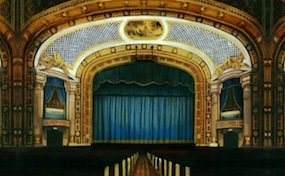 The State Theatre box office offered patrons the first air conditioning system in Minneapolis. The seating capacity is 2,181. The State Theater Minneapolis went through two years of renovation in 1989 for a cost of $8.8 million. The most common State Theatre tickets are for touring Broadway shows like Avenue Q, Joseph and the Amazing Technicolor, Wicked, Lion King, and the Jersey Boys. The State Theater Minnesota is owned and operated by Hennepin Theatre Trust currently. TheaterMinneapolis.com is a privately run company that specializes in all online sales in the secondary market. We are not affiliated with any primary box office, supplier, and or official websites. Tickets may be below or above face value and all prices will fluctuate with the market. To purchase tickets for any State Theatre Minneapolis event just click on the performance of interest or pick up your phone and call our operators at anytime.